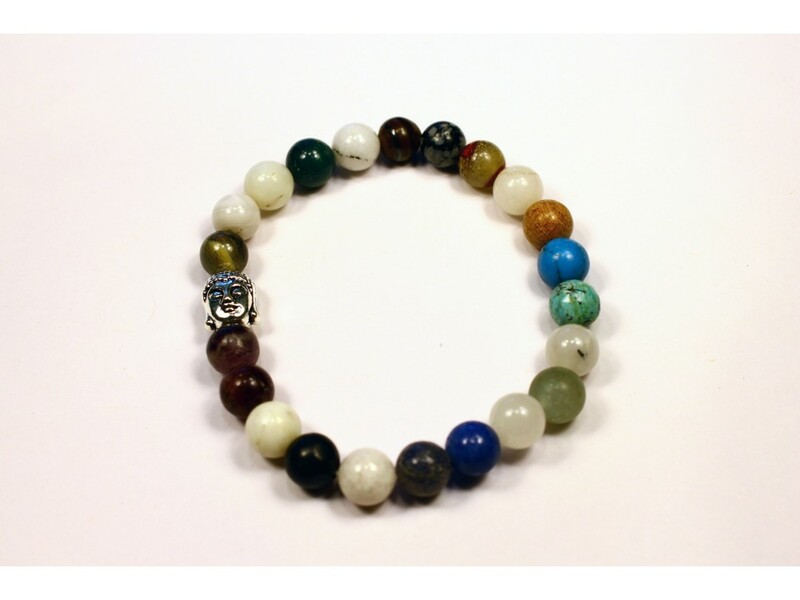 The Buddha head bracelet is made from 8 mm stones. The charm is 5/8'' x 3/8'' inches. 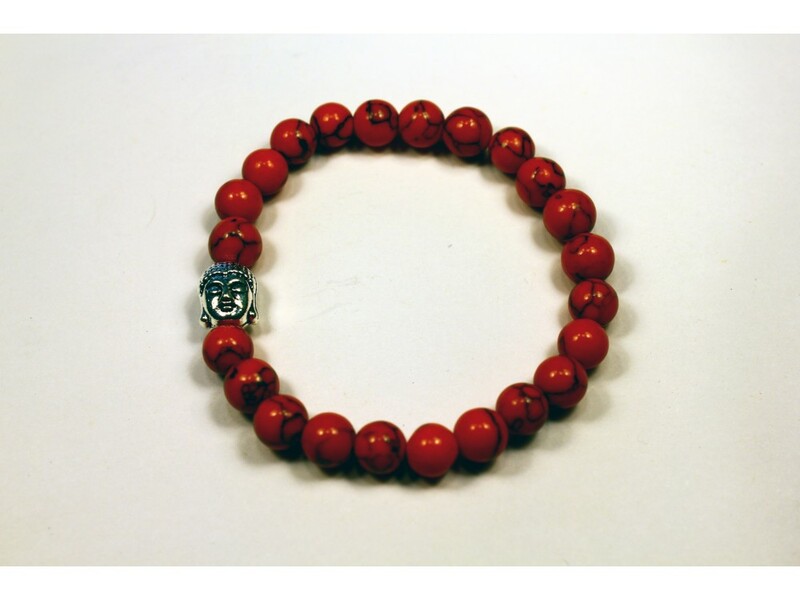 The Buddha symbolizes life's journey, and our journey is to end HIV/AIDS. 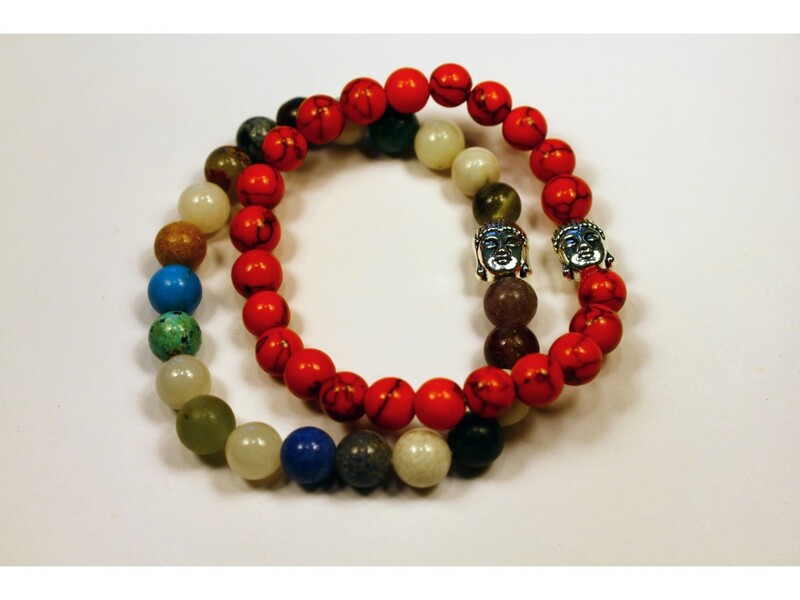 Available in multi-colored stones and red jasper. High quality seed beads from Japan accented with a gold bead. Every bracelet purchased helps those i..